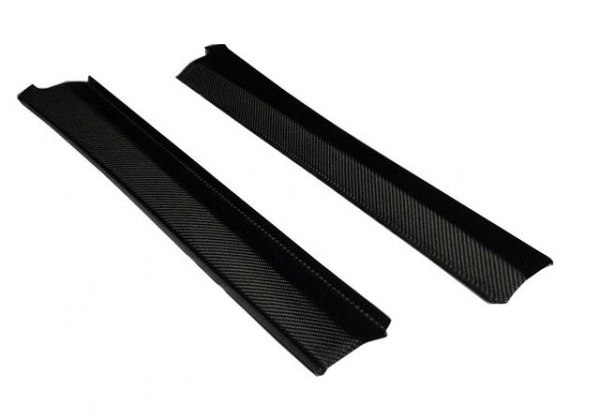 Add that special added touch to your E46 M3 with these carbon fiber door step covers. They are a great fit and only takes a matter of minutes to install and give your E46 M3 a new aggressive interior styling. This is REAL carbon fiber and is clear coated for a glossy and durable finish. Get your own set of E46 M3 Carbon Fiber Door Steps and see the difference it will make on your BMW.